Sunday morning at Bedfordview, 26 August. 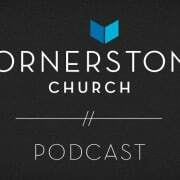 Mark Meeske shares on faith. You can also download Colette Meeske’s prophetic word that morning here. Sunday morning at Bedfordview, 15 October 2017 – Marcus Herbert looks at “Sola Fide” – Faith Alone – in our Five Solas series. This year October marks the 500th anniversary of the Reformation – a moment in history that completely changed the world. It was the moment when five truths of the gospel were rediscovered. 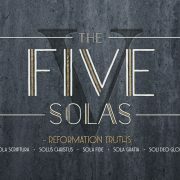 These truths, which we call the “Five Solas” of the Reformation (“Sola” is latin for “only”), led to major social upheaval, cultural change, and birthed revival across Europe. Find out why in this series. 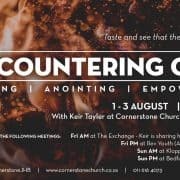 Keir Tayler ends our week of “Encountering God” on Sunday night, 6 July at Bedfordview, speaking on how faith and the Word work together. 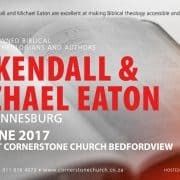 Thursday noon, 8 June – RT Kendall teaches about faith (part 2). Wednesday morning, 7 June – RT Kendall teaches about Justification by Faith. One of the greatest desires and needs we have as people is the need to find trust in others. 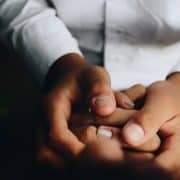 We long to have people in our lives that we can rely on, call on in times of need, and trust with our lives. Sadly we do let each other down – often. But there is someone who calls on us to trust Him with our life, and that is Jesus. We need to learn to trust in Jesus, for He is trustworthy. We looked at Psalm 56:3: “When I am afraid I will trust in you.” We have covered the experience of fear many times with our children. This week we wanted to emphasise that no matter what we are feeling or experiencing, we need to learn to trust in Jesus with our lives. When we learn to have trust in Jesus, we find the ability, the hope and courage to not fear what we experience or what may lie ahead. Our fear is kept afar when we are filled with trust in Jesus. Trusting Jesus means we that we know that he will care for us, protect us and love us throughout what happens. We looked at how in the Gospels, an official from Capernaum feared that his son would die. He had one last hope and that was to trust in Jesus. When Jesus chose not to follow the official to his house but rather assure him that his son would live, the official again had to trust in Jesus. On his way home he heard the incredible news that his son is well. His trust in Jesus paid off. Speak to your children about what it means to trust someone. Tell them Bible stories where men and women had to trust God over and over again, and how God always proved to be trustworthy. Talk to your children about what they may fear. We heard some interesting points from our older children. Assure them of how trusting Jesus helps to combat fear. We often encourage our children to love Jesus. A place to start that may be simpler for children is for them to first learn to trust Jesus. When they learn to trust Jesus, then it becomes easy to love him.